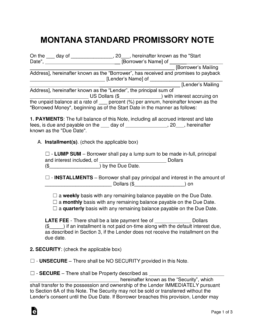 The Montana promissory note templates are documents used for transactions involving the lending of a monetary balance from one party to another. The template outlines important facets of the transaction such as the interest rate attached to the balance, the penalty(s) that would result from a late payment, and the payment method the borrower will be required to stick to during the course of the agreement. Once both parties have fully agreed on all the terms and conditions written in the template, it is highly recommended that a witness verify the signatures of both parties. 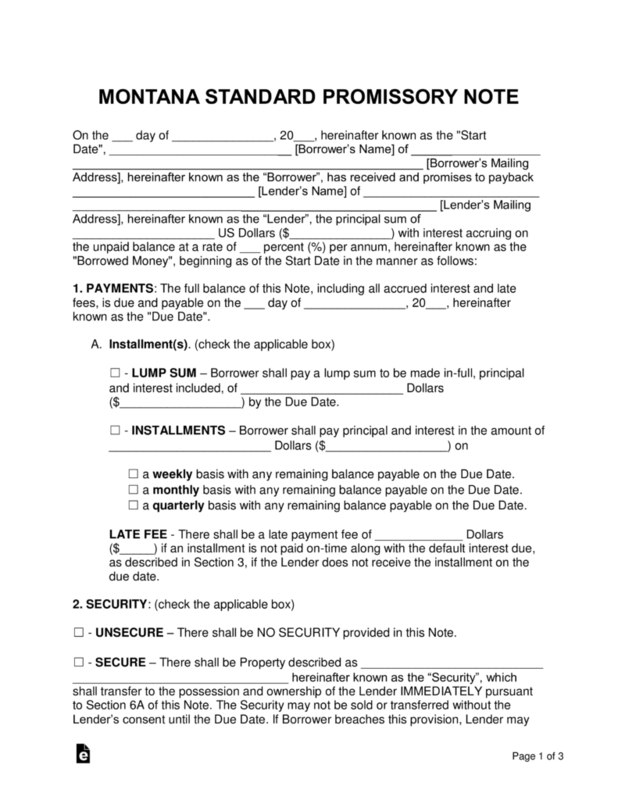 Secured Promissory Note – Includes a section on security, which requires the borrower to set aside an item such as a home, vehicle, or boat that is given to the lender if the borrower is unable to make payments on the balance. Unsecured Promissory Note – Includes all the major sections found within the secured note with the exception of security. The lender will be at a far greater risk for monetary loss, as the lender is not guaranteed an item from the borrower if a default occurs on the balance.